This entry was posted on November 19, 2018 by The BuyaBattery Team. GP Batteries is a name known around the world, becoming synonymous with battery expertise and experience. The company has over 50 years in the industry, developing its first battery in Hong Kong in 1964. Involved in the development, manufacture and marketing of batteries and related products, GP Batteries has created a rich history since its establishment. GP Batteries are listed under the parent company of Gold Peak Industries, which was established in Hong Kong in 1964. Gold Peak own an 85.5% interest in GP Industries, which is the main investment vehicle of Gold Peak. Since the inception of GP Batteries, they have become one of the world’s major suppliers of batteries. With production facilities located across China, Vietnam and Malaysia, and trade and marketing offices across Asia, Europe and North American, the company is one of the largest consumer battery manufacturers in China. They supply batteries for a range of applications and industries, including the consumer market and the industrial market. Their quality ethic precedes them, providing original equipment manufacturers and other leading battery companies with high performance and reliable battery products. Gold Peak began as a specialty battery manufacturer, releasing a 9-volt carbon zinc battery as their first foray into the industry in 1964. As the 1970s approached, Hong Kong became a hub for producing gadgets like calculators, watches and other electronic must-haves. Even back then, people were hungry for the latest digital product. Gold Peak recognised this, and became a major producer of alkaline and silver oxide button cell batteries that could be used to power these devices. From there, the parent company continued to develop and grow. In the 1990s, NiMH (nickel meta hydride) became the new standard in rechargeable batteries, and the opening of the Chinese consumer market meant that Gold Peak could produce and market batteries under their GP brand. GP Batteries now have an extensive product catalogue, including primary batteries, rechargeable batteries, lithium batteries and battery chargers. Constantly developing its offering, GP have kept up with the times over the years and ensured the modern world benefit from its power solutions, just as they did 50 years ago. They are highly regarded for their modern manufacturing processes, and environmentally-conscious approach. Environmentally-friendly GP ReCyko+ rechargeable batteries were released in 2006, arriving pre-charged and having extremely low self-discharge. 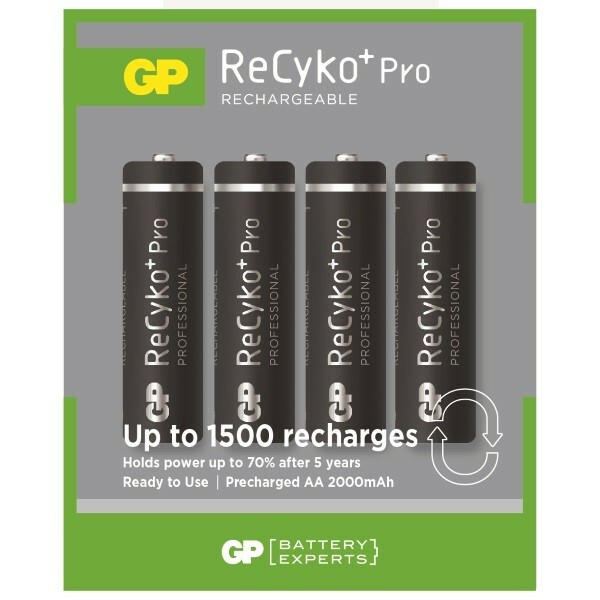 GP have now gone one step further by developing GP Recyko+ Pro rechargeable batteries, which can be recharged up to 1500 times and retain up to 70% of their charge for 5 years. With a power solution to suit every need and every budget, GP batteries are reliable and long-lasting. At BuyaBattery, we are official distributors of GP Batteries in the UK, so you can rely on us for all your needs. Browse the full range on our website today. Why Are Coin Cell Batteries So Popular?